I love Long Island. It has peaceful parks and churches. The beaches are very pretty with sparkly water. Port Jefferson is very beautiful. Nobody else has Port Jefferson except Long Island. I like Long Island because it is the home of the Islanders. Long Island is a great place to live and fun to walk to places. It is fun to jog. I like to hear the boats down Port Jefferson by the water. It has great beaches. I like to collect beach glass. I love Long Island because it has a few wonderful beaches. It has Westmeadow Beach and Cedar Beach and a couple of other ones. In the spring all kinds of good things happen. People fly kites and grow colorful flowers. And sometimes a baby bird is born. I love Long Island. I love the beaches. I like to swim in the beaches. I like the land because I enjoy playing soccer. The South Shore is sandy, we go there to watch the sun go down as we eat. This vacation just cannot be beat! most of my family lives here so I am never alone. I have visited Montauk Point several times and this is one of my favorite places on Long Island. I can remember climbing the many long and winding steps to the top of the lighthouse. At the top, I looked out and as far as you could see, there was dark blue water. The sun glistened down and made the water look like glass, and I was even eye level with some birds. You can imagine how high up we were. The way down was much easier, and we went to walk along the beach. The beach had very large rocks along the shoreline, and there were many small creatures and a lot of plant life living among the rocks by the water. My favorite were the hermit crabs. There were big ones and little ones of all different colors. There were many different kinds of seaweed, some very green, and some brown. We stayed for awhile and observed how beautiful and peaceful everything was, and then ended the day with a few souvenirs. You can have a wonderful ball! It's like going on a fantastic ride. It's not like eating a sharp, sharp thorn. You really don't have to swim. I hope you guys have a ball. Montauk Point is the best place to go on vacation. The part I liked the most is the lighthouse. It takes about 15 minutes to reach the top of the lighthouse. When you are walking up the stairs don't look down! After over 200 flights of stairs it gets very tiring. Once you reach the top its a beautiful sight. You can see for miles. There's also waves crashing all around you. There's a lookout tower on the lighthouse too! Its cold and very windy up there. After that I then went to the beach. The waves aare big, but not as big as Fire Island's waves. At Fire Island they have very good surfing waves. You can also play all sorts of beach games; like frisbee, bongo bat, catch, tag, and have a contest to see who can build the best sand castle. So try to visit Montauk Point. 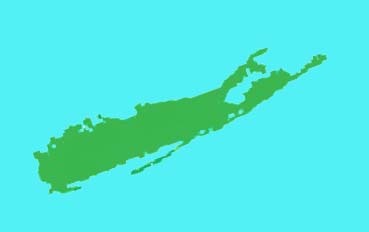 Hello all people on the Internet, I am going to tell you how Long Island is and tell you what's there. For people that live in California, we also have beautiful beaches too. There are several reasons why I love Long Island. The things are the schools, the basketball teams, and the sunny summer days. People that might come to Long Island would want to hear what I'm saying. Long Island is a beautiful place to live. You should live on the South Shore around the ocean. But for your own safety you should be at least 20 yards away from the ocean. Now let me tell you about Long Island. Long Island, I would say is one of the most beautiful places in the United States of America. You can also get friends pretty easily. We have the greatest holidays and Long Island is not that violent. I go play basketball with my dad's friend at Stony Brook University on nice days. Trust me, everything I'm saying is true. Long Island is exotic. It has a lot of places. It has places like Montauk Point. We also have places like Bethpage. We also have beaches and an ocean. Long Island is a great place to live. Our beaches are full of shells and rocks. I once went to a beach and found a shark's eggcase, another eggcase, a horse-shoe crab shell, and shells. We also have an ocean surrounding us. It has creatures like fish, whales, and sharks. We also have a lighthouse at Montauk Point. Long Island is divided up into four sections. Nassau, Suffolk, Queens, and Kings county. They are beautiful. One day my family and I decided to go to the Lighthouse at Montauk Point. It took us three hours to get there. When we finally got there we sat down and had a picnic at the park. We had soda, chips, cookies, and sandwiches. After lunch we walked around the museum and gift shop. There was a lot of cool stuff in the museum and I got a shark tooth necklace at the gift shop. My sister and brother got key chains with sharks on them. The next thing we did was we went for a swim in the ocean. There was a lot of shells, rocks, and waves there. I got pushed by a big wave. That was so much fun. Next we went up into the lighthouse. I got to see how the light and the lightbulb was. The bulb was as big as my head! That was my favorite thing we did out of the whole trip. After that we went home. On the way we had McDonalds for dinner. I love the beautiful scenery especially at the beach in the summer. It looks really pretty when the waves crash up on the sand. Also when you go to Wildwood National Park and take a hike you see all the beautiful animals, flowers, and the trees. I also love Long Island because it is safe for everybody and it also has very good schools and educational programs like religion and girl and boy scouts. I like Long Island because it has exciting places to go like Splish Splash the water park. Splish-Splash is really so much fun with the water rides. There is also the mall where you could shop then go across the street to Sports Plus. If you don't have money but you have a library card you and your friends could go to the library and get out a book and read or do homework or something like that. There are a lot of things that make me love Long Island. It has great stuff to do, see, visit, and just have fun. If you live on Long Island or go to Long Island you would know what I mean. I love Long Island best in summer. I love to go to the beach in my Aunt Kathy's boat on the Great South Bay. We go to her house in Babylon. They live on the water. We get in the boat and go. Somedays my Uncle Richie takes us tubing in cool water. Another day we rented water runners and rode out in the ocean. All the other times we got to an inlet and have a picnic on the beach and have fun all day. When I was a little girl I went to Montauk Point with my Mom. It was so beautiful, especially the scenery. I went inside the lighthouse. My mom and I went to the top of the lighthouse. I got dizzy and wanted to get down from there. So my mom took me to the gify shop. My mom bought me a real sand dollar. When we came out of the lighthouse we went to the beach. I collected a lot of seashells for my mom to put on a necklace. After that we went swimming for a while. When we came out of the water we had lunch. After lunch I made the necklace for my mom. We had a lot of fun at Montauk Point. Before we left, we went swimming again. My mom told me to dry off. But I still wanted to swim for five more minutes. Then I dried off and went home. Montauk Point and Long Island are the best places to be. What I love about Long Island is the beaches, especially Fire Island. I like Fire Island the most because it is fun and has lots of waves. When I go there every summer we rent a house. We take a supply of food for two weeks. Usually, we stay with some of my family. The girls get one room and the boys get their own room. The parents get their own room too. I like the stores that they have up there. We walk up to the stores to get candy. I also like the deer. When we go up there we always bring carrots or lettuce to feed them. Fire Island has so many shells. This year if we go there we might rent two houses because there's too many people that go. We also have alot of people that come and visit. I like to walk along the beaches. Sometimes the sand is very hot. I like going on the ferries too, it's fun. I love Fire Island !